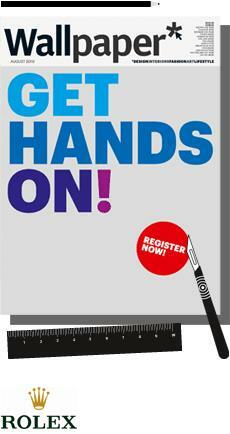 The Fred Hollows Foundation brings you this spellbinding experience that’s a must for all to see. 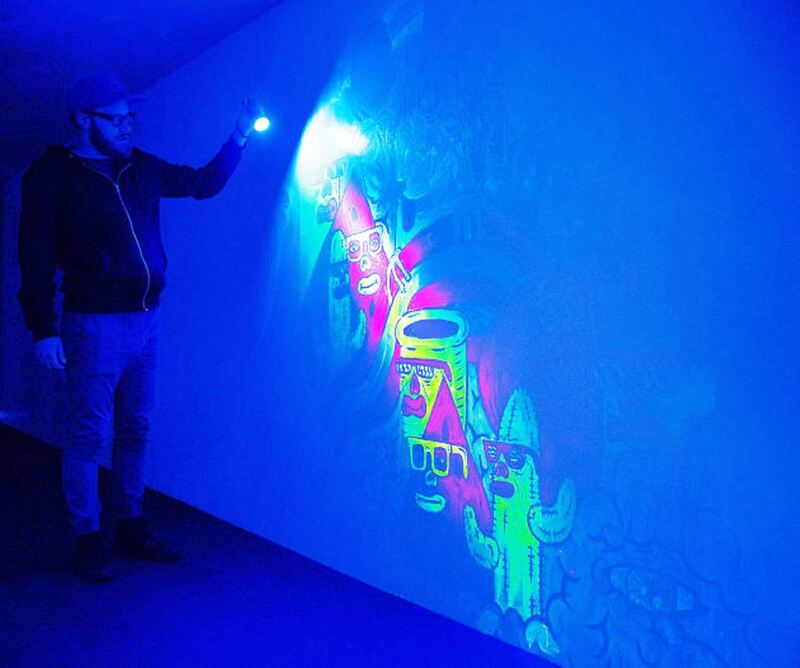 Armed with a special UV flashlight, you’ll be invited to discover incredible artworks created with invisible UV ink. 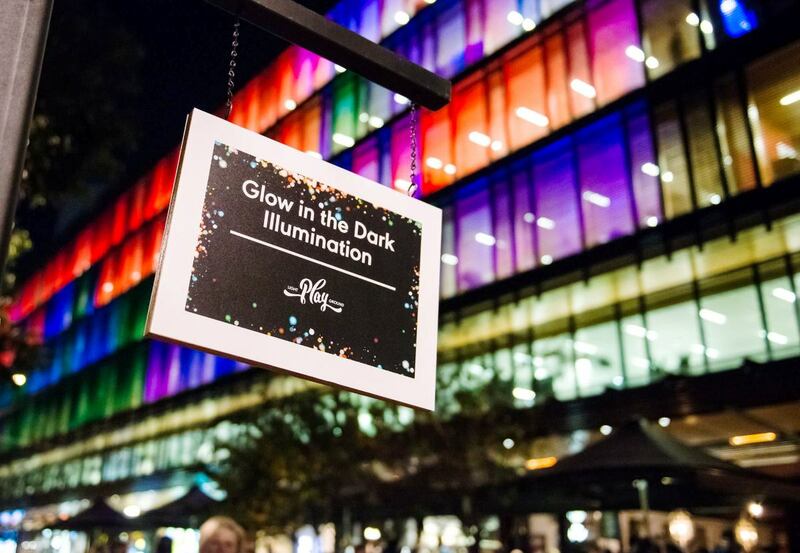 This unique journey into the darkness will leave you with an amazing new appreciation for sight in The Fred Hollows Foundation’s 25th anniversary year. 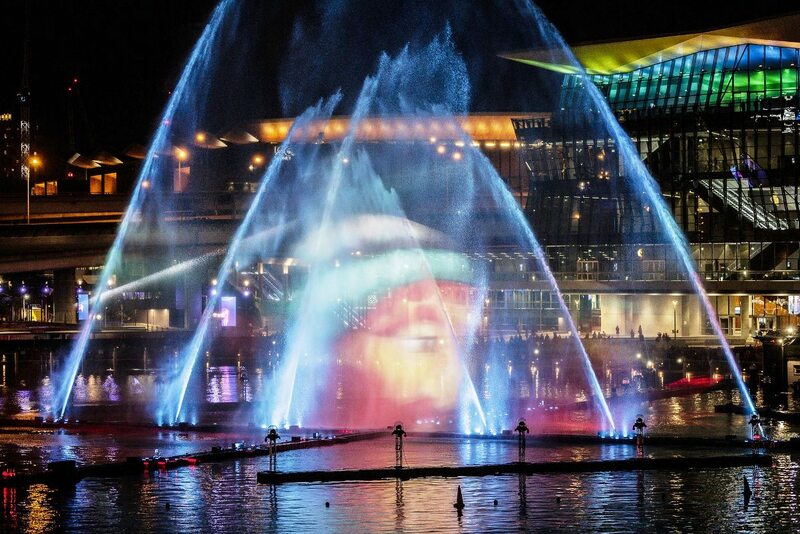 Experience the sea’s majesty and mystery through this fantastical projection onto the iconic wave-form rooftop, plus a program of fun family activities. 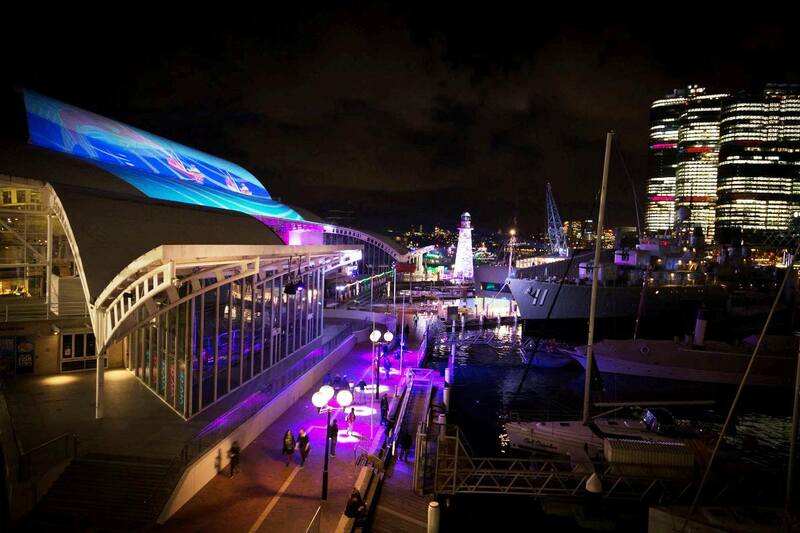 Projected on the iconic rooftop of the Australian National Maritime Museum, the gigantic wave-form of the museum roof in Darling Harbour is the canvas for Inspired by the Sea. 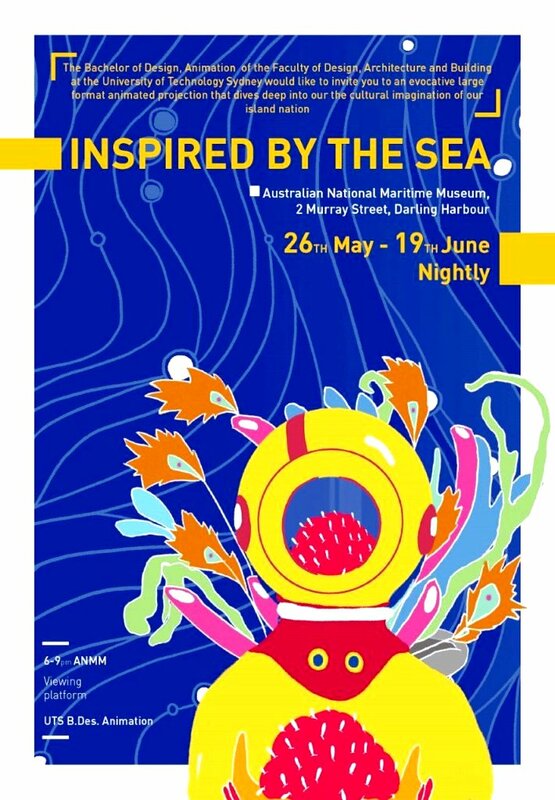 ‘Inspired by the Sea’ was developed by animation students from The University of Technology, Sydney and sees a new generation of creative talent gain inspiration from literature, art, music, the museum’s collection and their lived experience of what the sea means to our island nation. 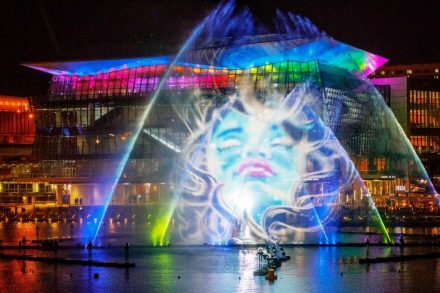 This spectacular projection evokes the sea’s majesty and mystery and its power to influence artists, writers and collections. 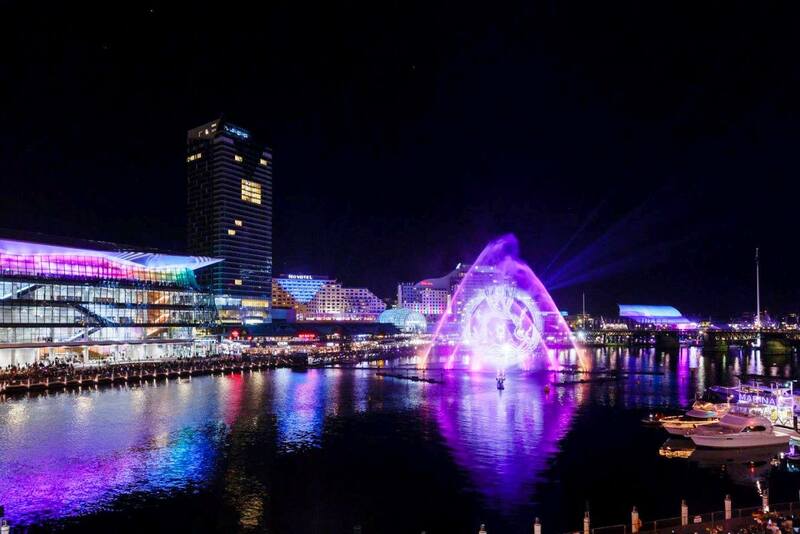 Once again Fusion Entertainment were tasked with providing a fabulous lighting solution for around the Maritime Museum during Vivid. 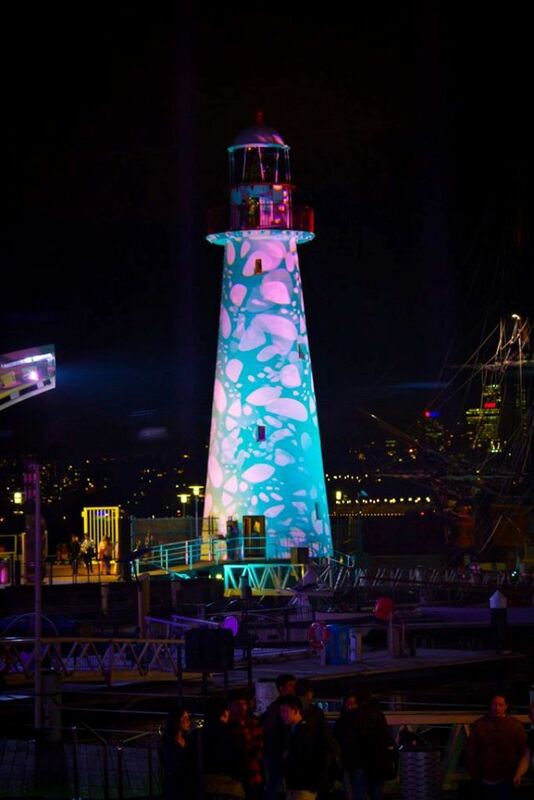 This year the focus was switched to the lighthouse which were lit at the base by nine ShowPro EX36 LED floods whilst a couple of Claypaky Mythos projected colour and gobos onto the entire lighthouse. 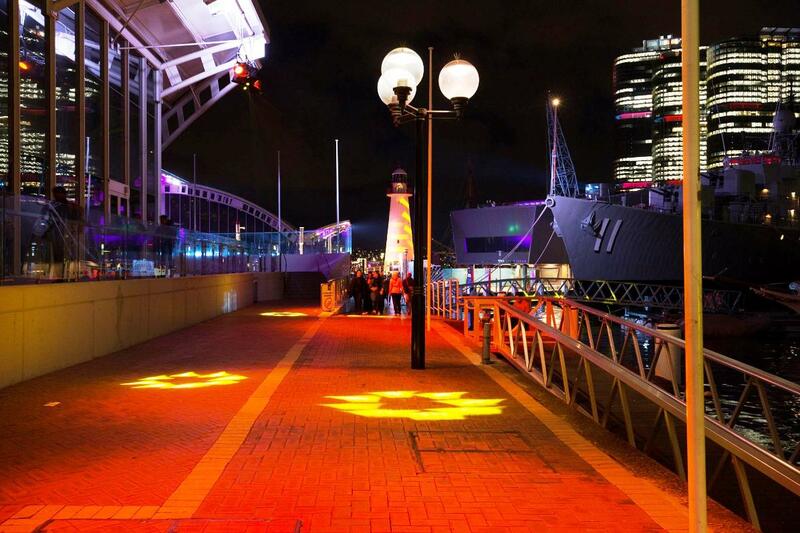 The walkway from harbour side up to the lighthouse also received the Claypaky treatment with six Sharpys providing movement, colour and excitement. 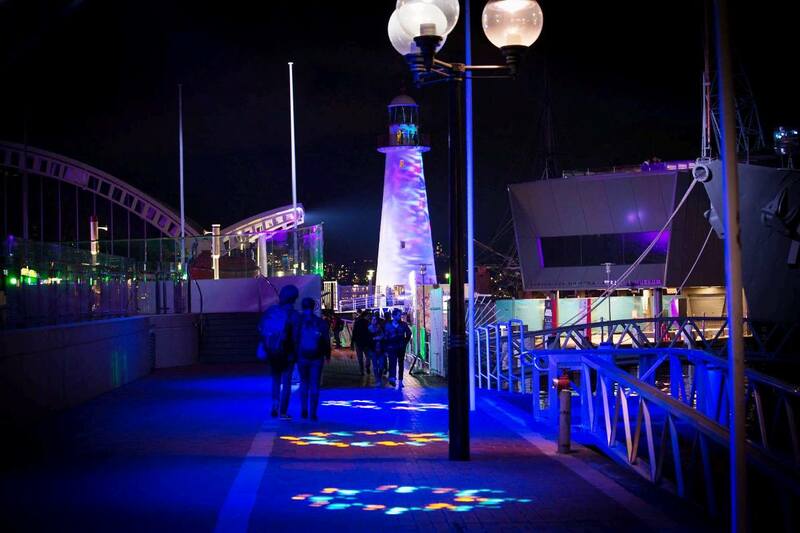 This attracts crowds to the area and leads them towards the lighthouse. Come along and join in our Silent Dis-Glow. It will be a silent dis-glow experience—a disco ball, lots of lights, liquid dance floor, and a DJ playing loads of tunes to dance to. Select from three channels of tunes playing different playlists. 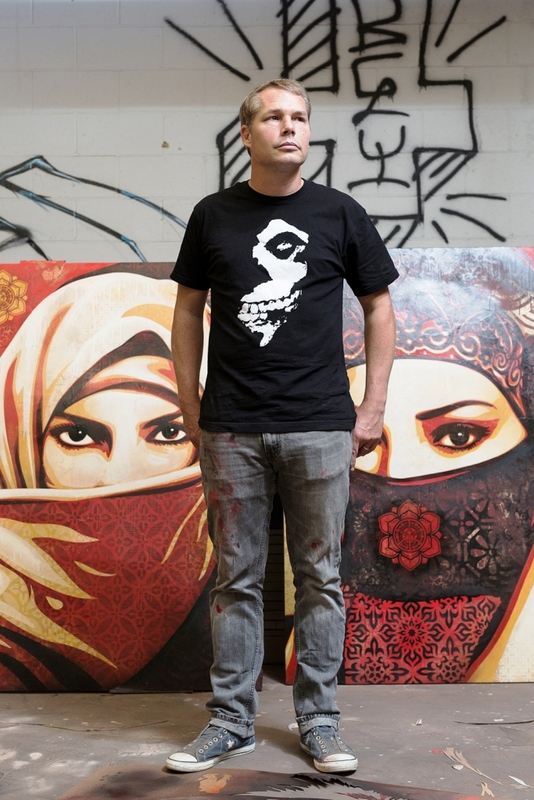 American artist Shepard Fairey is known around the world for his iconic imagery—think the Barack Obama ‘HOPE’ poster—and for an art practice that openly makes comment on mainstream commercialism and political propaganda. 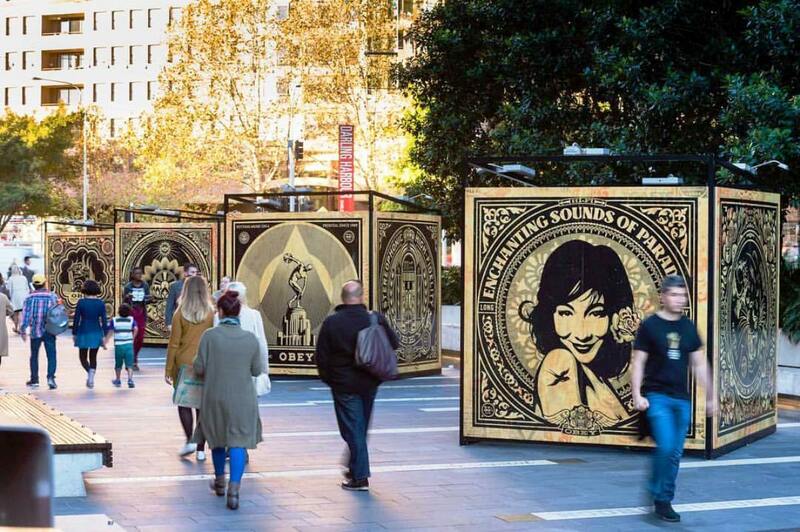 Demonstrating the strong ties between art and music, Fairey has created album cover artwork for bands such as Led Zeppelin and The Smashing Pumpkins, been DJ-ing for over 15 years, and produced music with his band Nøise. 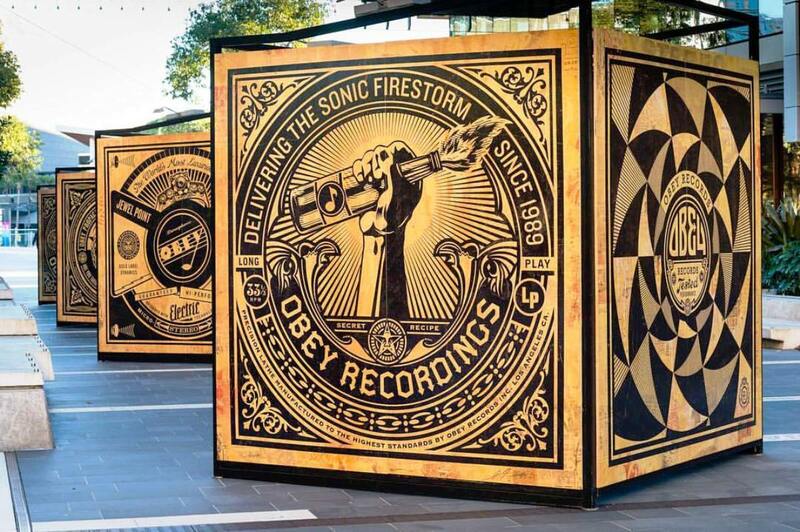 Revolutions is an exhibition showcasing 16 large-scale, music-themed artworks created by American artist Shepard Fairey. 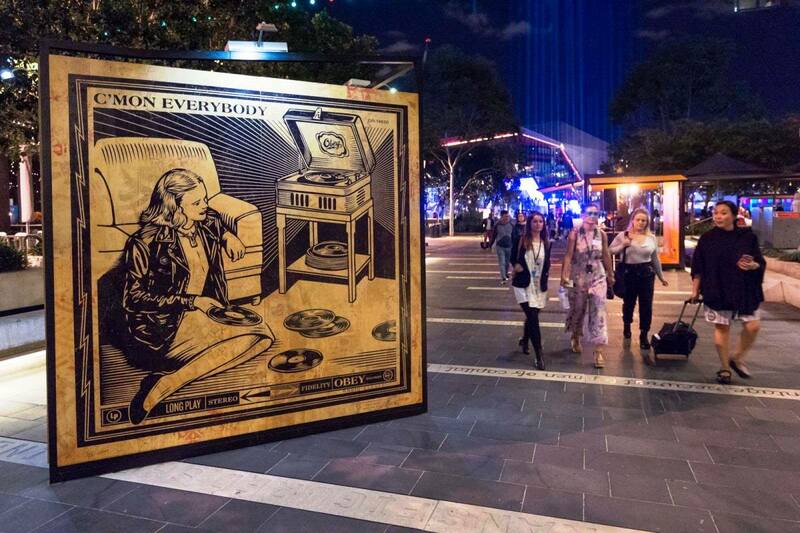 Each is printed on wood panels and showcases his signature style and passion for music culture. 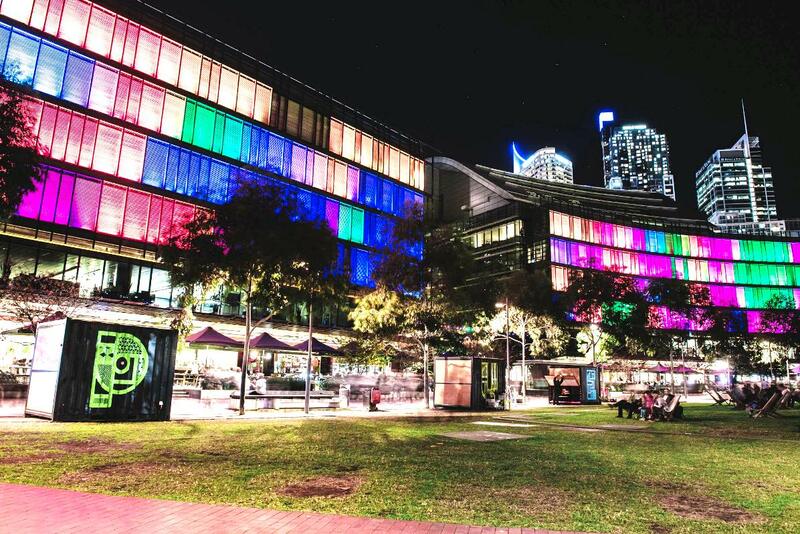 Nestled within Tumbalong Park at Darling Harbour, it sits in open space, reaching to the stars. 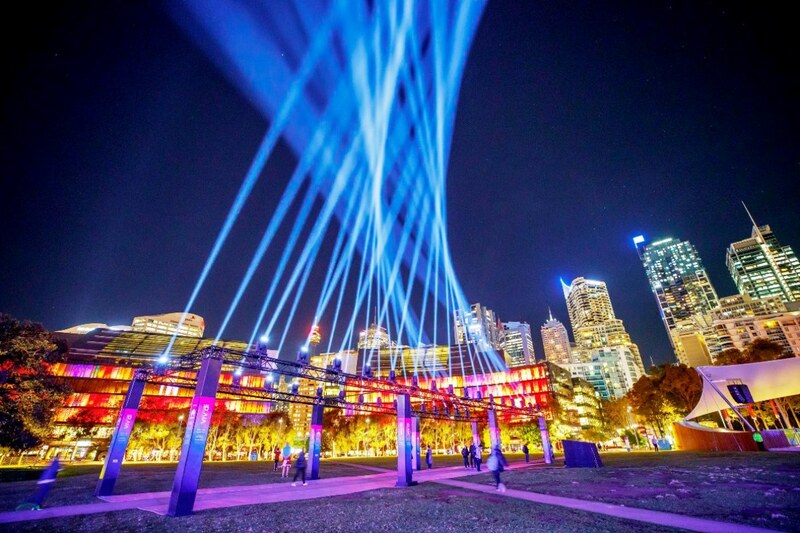 An exhibit of 32 dazzling beams of light moving through the night sky, creating patterns as you walk between the raised lights. Gazing into the sky as you walk between the parallel rows of suspended lights, your eye follows the interweaving lines of light and colour. 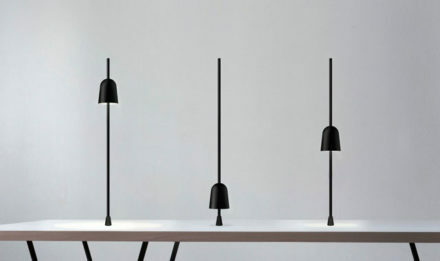 The beams interact with one another and move seamlessly into space. 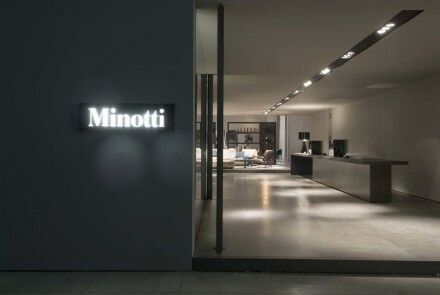 Intricate programming showcases both the beauty of each single beam of light, and combinations of beams working together to create a beacon, as the light heads for the night sky and beyond. 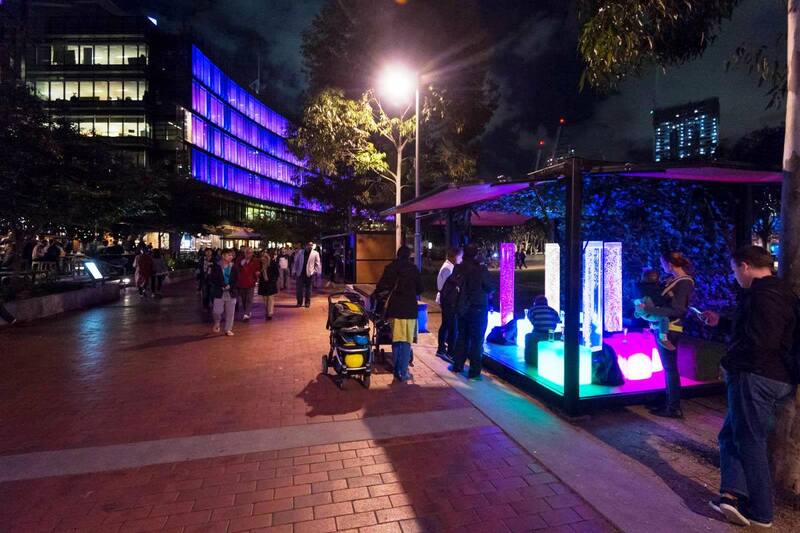 Come and experience the interactive Light Playground at Darling Quarter during Vivid Sydney. 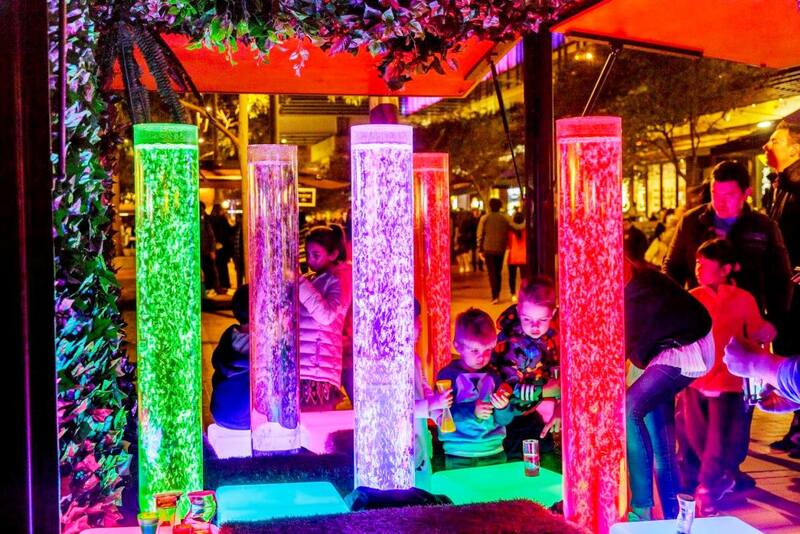 Gather the family at the Village Green North to dive into the visually stunning subject of illumination at Light Playground. 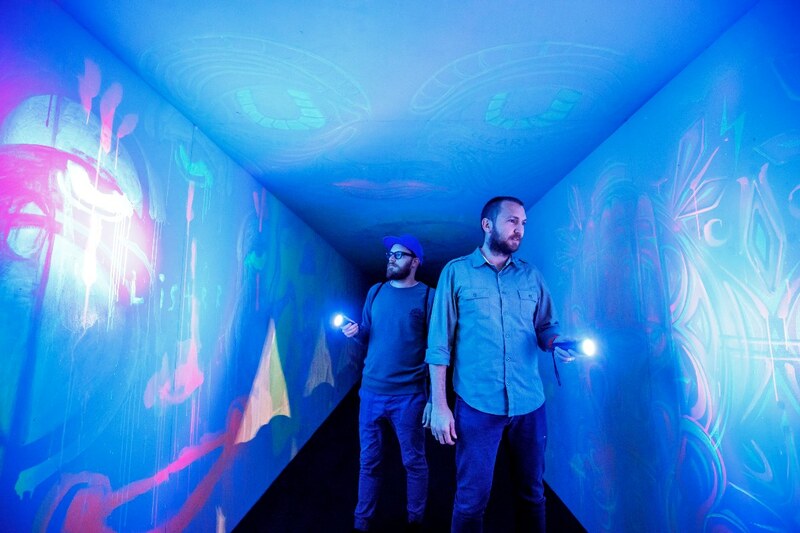 Everyone’s invited to explore this dazzling interactive installation. 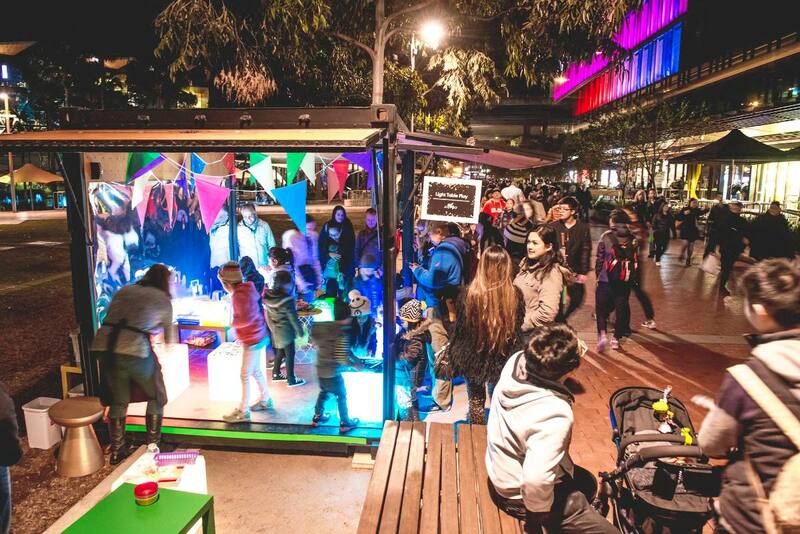 Light Playground consists of three modified shipping containers, each featuring a different play space that encourages the concept of experimenting with light, and is perfect for kids and families. 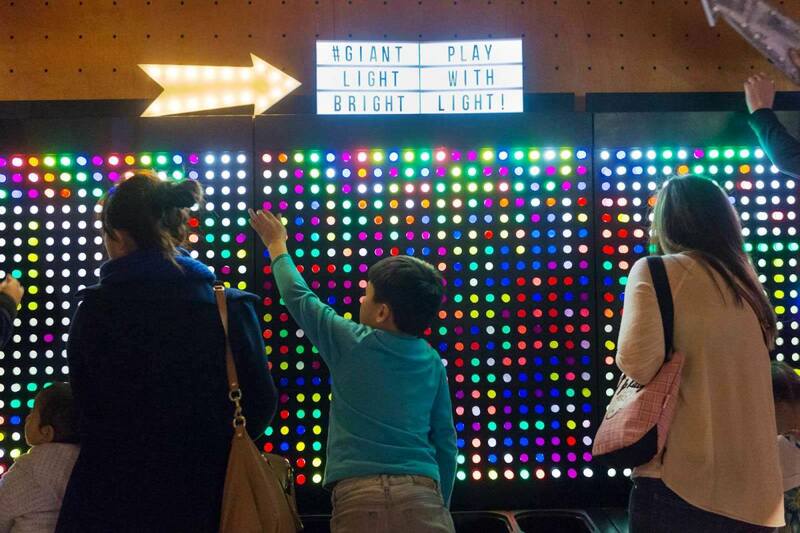 Giant Light Bright is like an over-sized black pegboard, backlit by a cool LED light source – its sheer size will instantly inspire creativity in kids and adults alike. 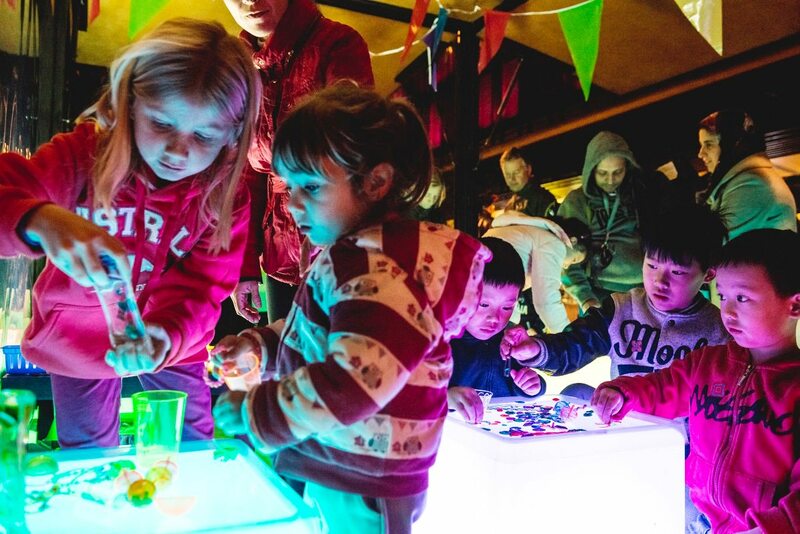 Light Bubble Forest is a sensory experience that mesmerises and soothes participants of all ages and abilities. Its clear, illuminated 1.5m high columns are filled with a liquid that creates thousands of bubbles that flow upwards and slowly change colour as they ascend. 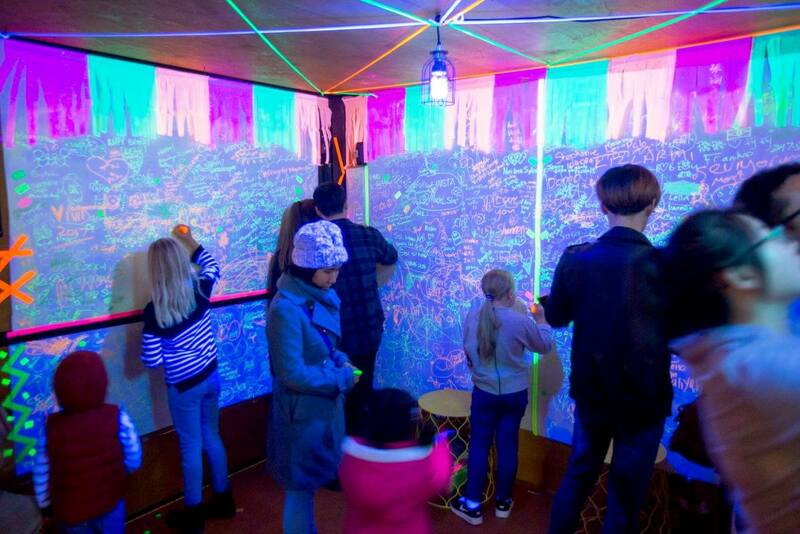 Children also have the chance to get hands-on with smaller bubble games that create amazing patterns as they are manipulated and illuminated on bright light tables. 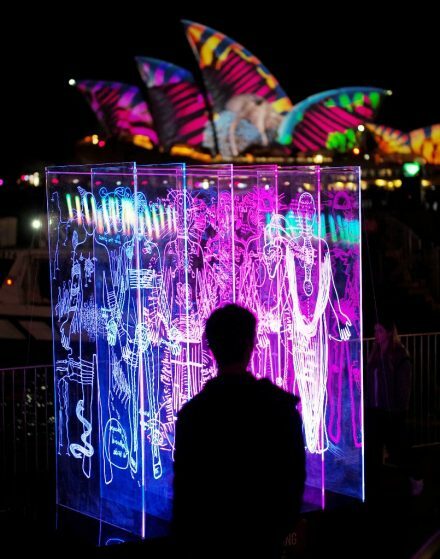 Glow in the Dark Illumination showcases the glow of black light luminescence. 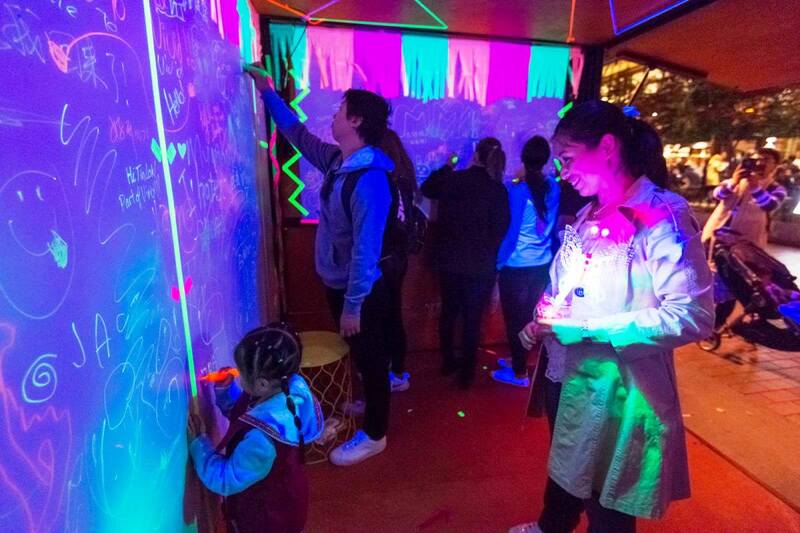 Using items such as Post-It Notes, neon sticker dots and highlighter markers, families can make artworks that may seem ordinary in the daylight, but will amaze and delight under the special black lights and photo luminescent vinyl inside the container. 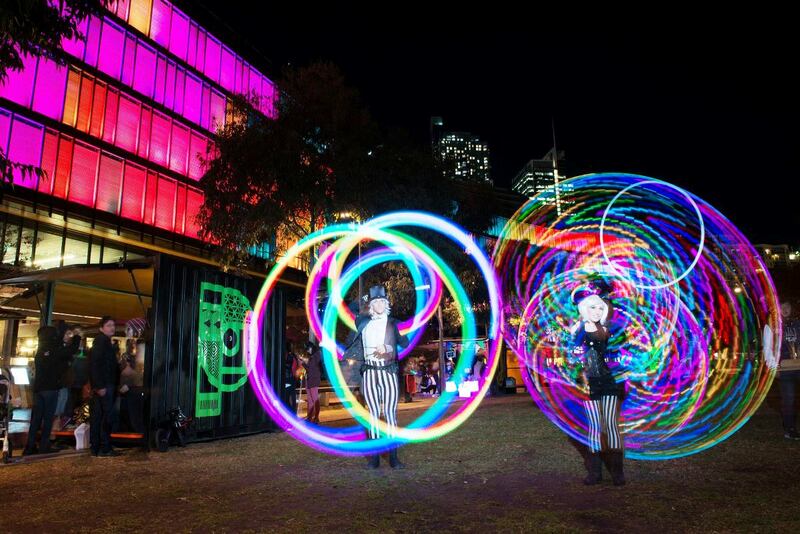 Luminous at Darling Quarter enlivens the experiences of visitors to Darling Quarter, uniting Sydney with wonderment, innovation and the countless possibilities for exploration. 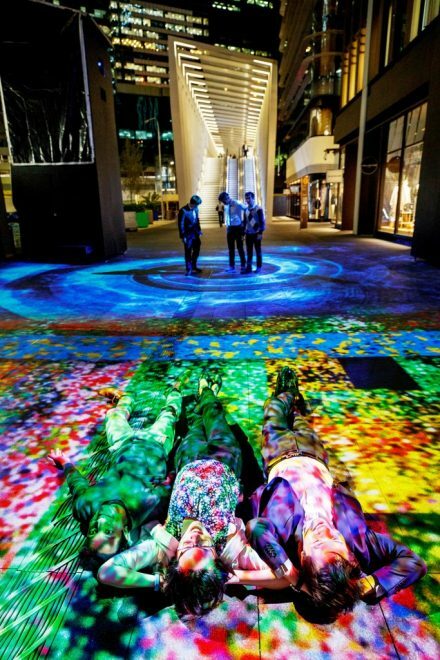 Visitors can also enjoy Luminous at Darling Quarter live from 6pm each night – a permanent public art installation with interactive consoles on the two Village Greens where people can ‘finger-paint’, play games on the spot and take full control over this enormous interactive digital light display (the largest of its kind in the world) to create their own unique light shows. 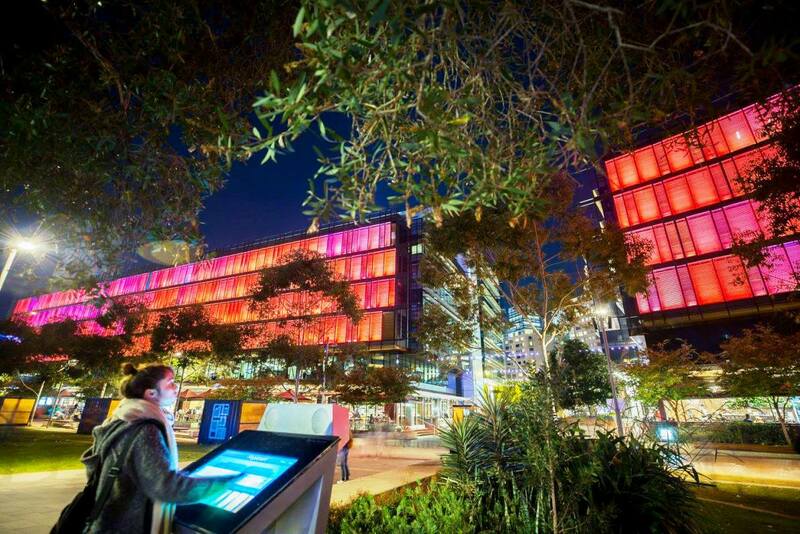 Overlooking Darling Harbour’s recently-rejuvenated Darling Quarter, the digital facade represents the latest international benchmark in urban digital innovation, and redefines the way we think of public art, play and communication. 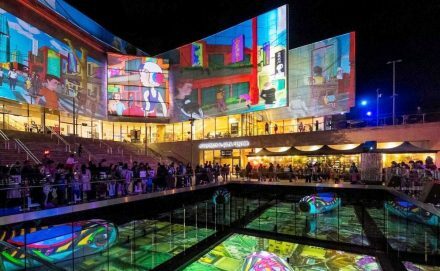 The remarkable result of a 12-month collaboration, Luminous at Darling Quarter is a radiant digital facade spanning 150 metres. 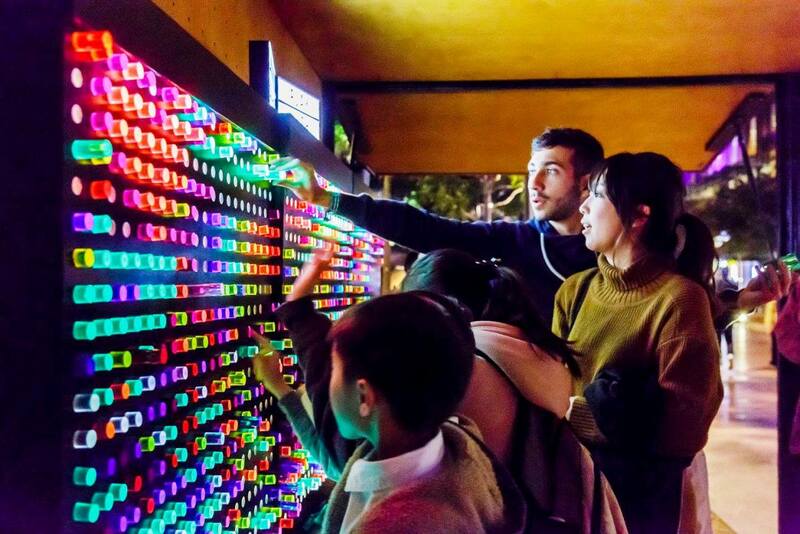 Constructed from 557 LED lights and possessing unique interactive capabilities, Luminous at Darling Quarter offers the public a shimmering canvas through which to explore their curiosities. 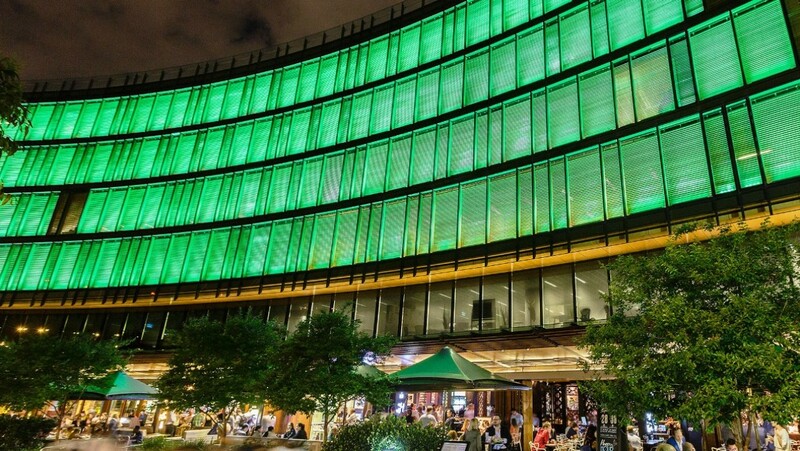 Powered by 100 per cent renewable energy, which is generated by solar panels affixed to the roof, Luminous at Darling Quarter represents unprecedented advancements in green energy technology. 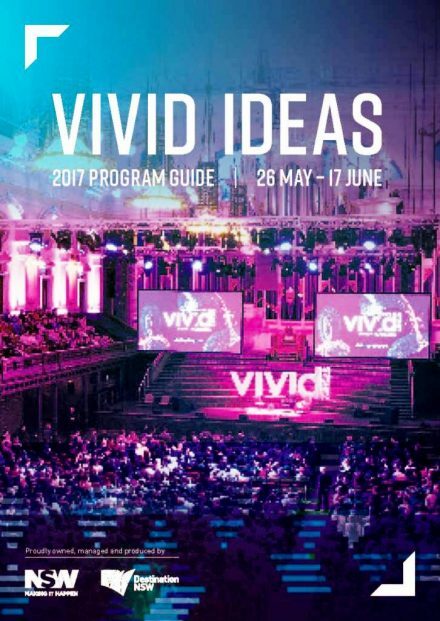 Colourblast is a visual extravaganza of interactive and exciting performances and entertainment—the essence of Vivid in a nightclub environment. When you enter the main room, be ready for an Ultraglow UV Paint Party. 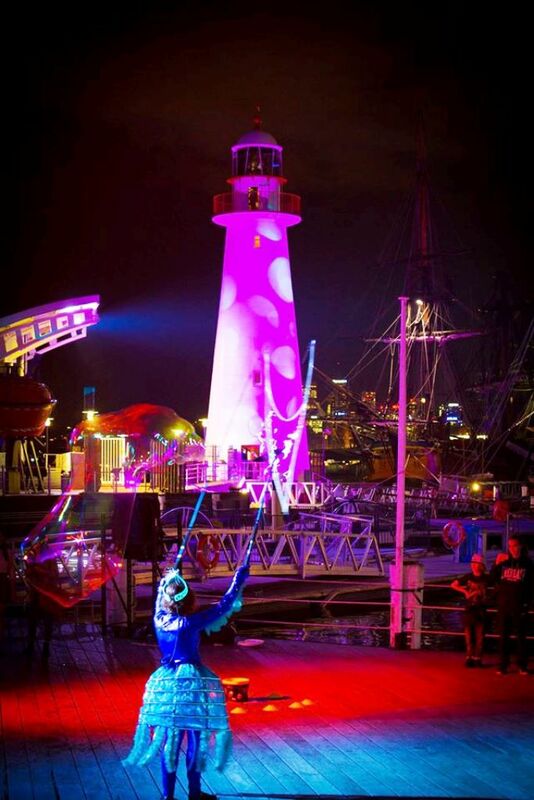 With 200 litres of water-based, non-toxic ultraviolet paint propelled into the crowd by stilt walkers and ‘paint angels’ and the whole scene lit by UV, this party will glow! 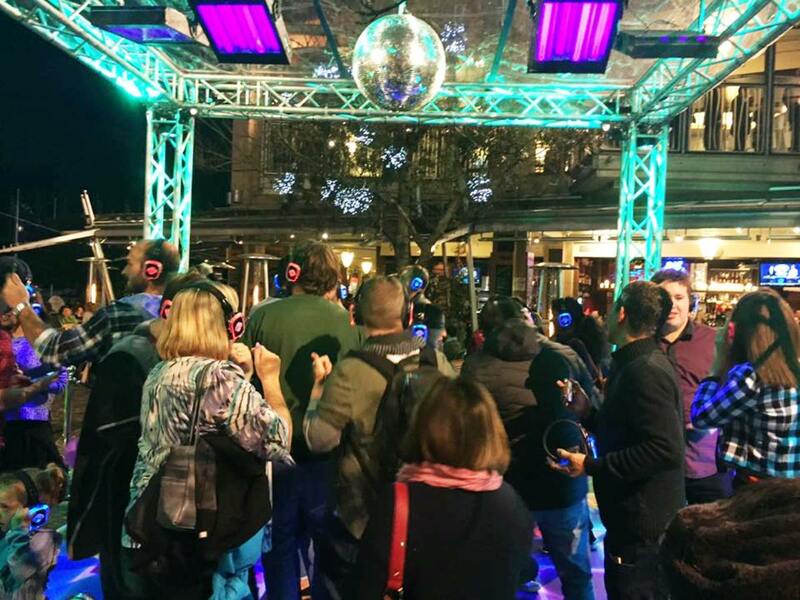 On the mezzanine level, you’ll find the Silent Disco Room. 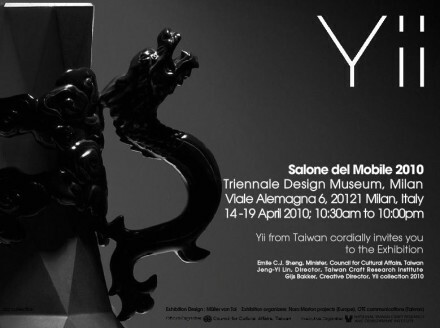 Put on battery-powered headphones as you enter, and experience DJs battling it out to capture the crowd’s attention. Each DJ will be represented by LED colour on the headphones. 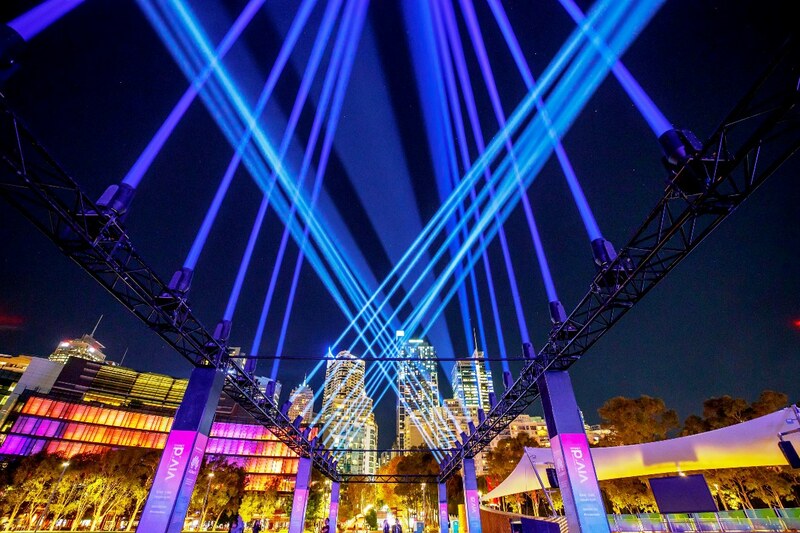 And on the rooftop terrace, Laser Rave will feature music that’s a little more fast-paced, in an environment created by state-of-the-art laser and strobe cannons, and enhanced by atmospheric machine smoke. 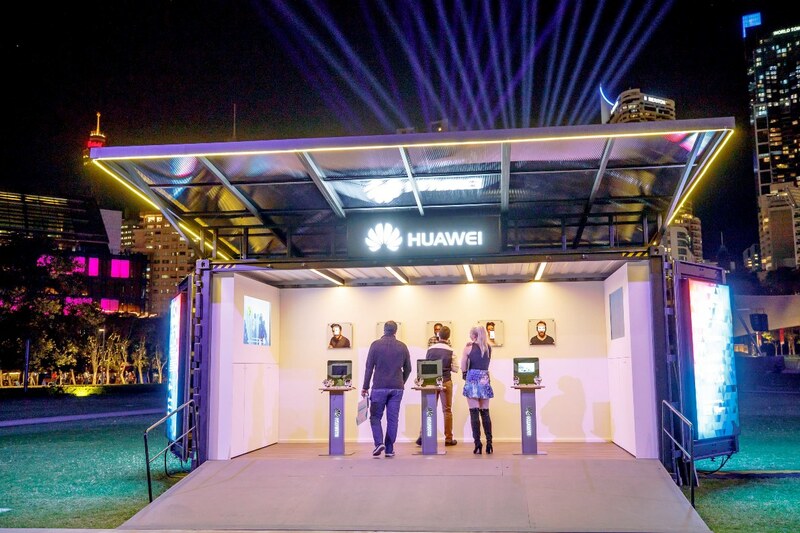 Located beside Tumbalong Park Lights you will find the Huawei Hub where you can immerse yourself in the interactive experiences of sound, light and art. Check out the animated faces on the new Huawei P10 phone and have your own GIF taken as a souvenir or to share with friends. 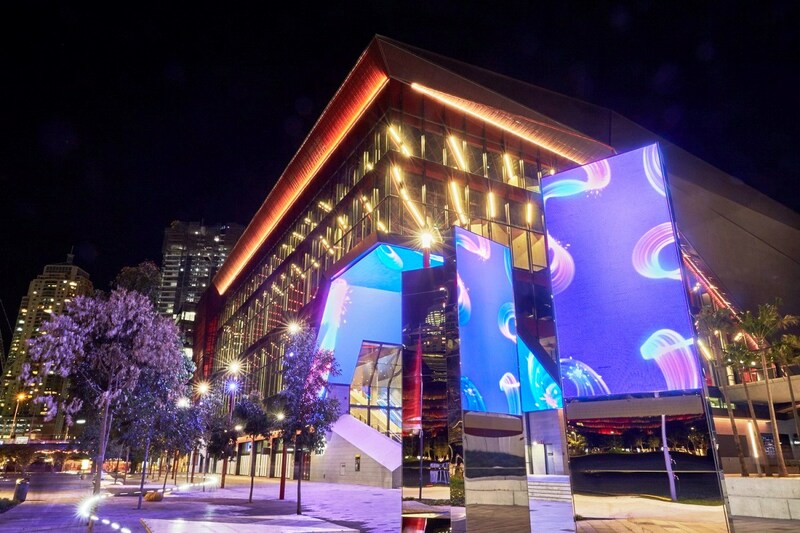 Australia’s premier convention, exhibition and entertainment venue is impressing with a precinct-wide display across its 19, seven-metre high digital blades and ICC Sydney Theatre’s 250sqm digital entry screen. 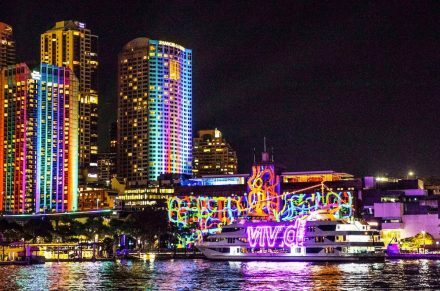 Placed in prominent locations along Tumbalong Boulevard, the exciting installation features a continuous custom Vivid Sydney artwork alongside event, community and way finding information. 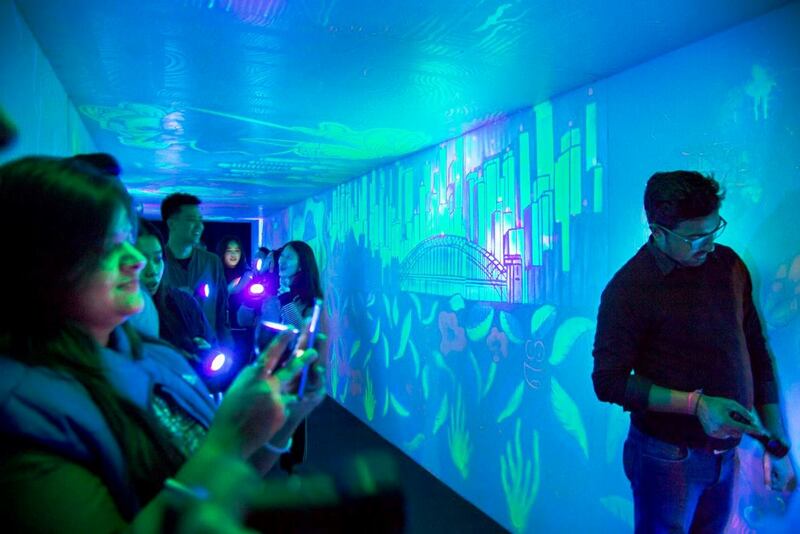 The artwork uses texture, colour and movement to unify the light of Darling Harbour, Tumbalong Green and the Darling Quarter Precinct and gives guests a glimpse of the industry leading technology featured throughout ICC Sydney.